Glorious city centre chic! 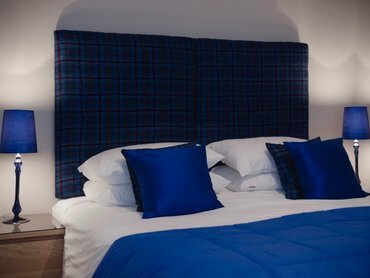 Our guests have described this roomy apartment as "A perfect Apartment for a city break in Edinburgh" and we could not agree more! 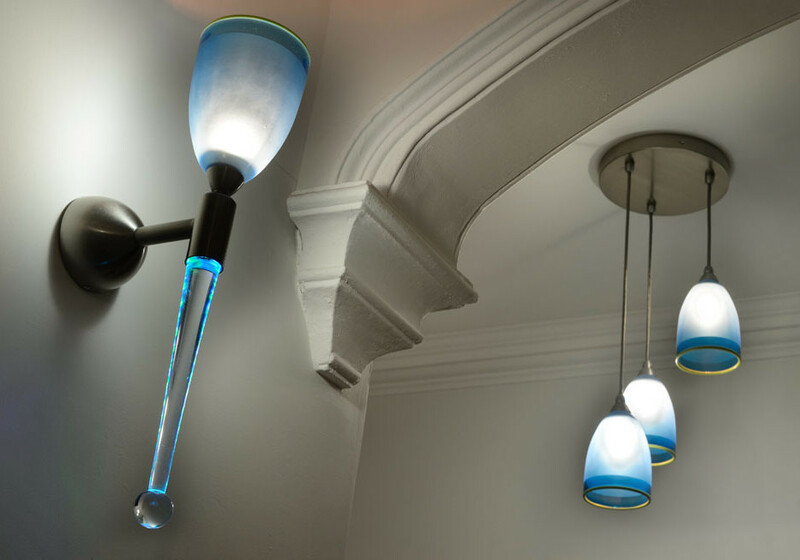 With its fantastic city centre location, just across from the Edinburgh Playhouse and luxurious finishes, with Adrian Sankay Glass designs, it is an Edinburgh Address favourite. Exterior This traditional Edinburgh tenement is located in Gayfield Square, a leafy and central area surrounded by classic New Town buildings. Accessibility statement The apartment is on the third floor (up three flights of stairs). As there is no lift, it may not be suitable for those with mobility difficulties. 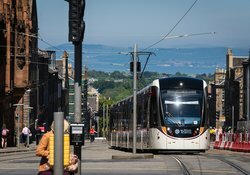 Exit station onto Princes Street and cross the road to the bus stops beside Burger King, here you can take a number of buses to Leith Walk. The most frequent is the number 22, after passing the playhouse alight just after the roundabout which leads to London Road. Gayfield Square is on the left hand side of the road and the apartment is at the end of the road. Take the Express Shuttle bus from Stand 19 just outside the UK arrivals hall into the city centre (buses approximately every 10 minutes, fare £3 single, £5 open return). Exit bus at Waverley Bridge, just off Princes Street. Follow instructions as above. If travelling from the North continue on the A90 signposted for Edinburgh. Follow the city centre signs to the West End junction of Princess Street, follow the one way system through Charlotte Square and then onto Queen Street. Continue to the end of Queen Street where you will reach a roundabout opposite the Play House, take the second exit onto A900/Leith Walk. Follow the road until you come to a second roundabout, continue straight and Gayfield Square is the first left after the roundabout. Continue to the bottom of the road where the apartment is situated. If travelling from the South continue to drive on the A1 and take the exit towards Craigmillar/Newcraighall. Then at the roundabout take the first exit onto A6095/Newcraighall Road and continue to Cameron Toll Shopping Centre. 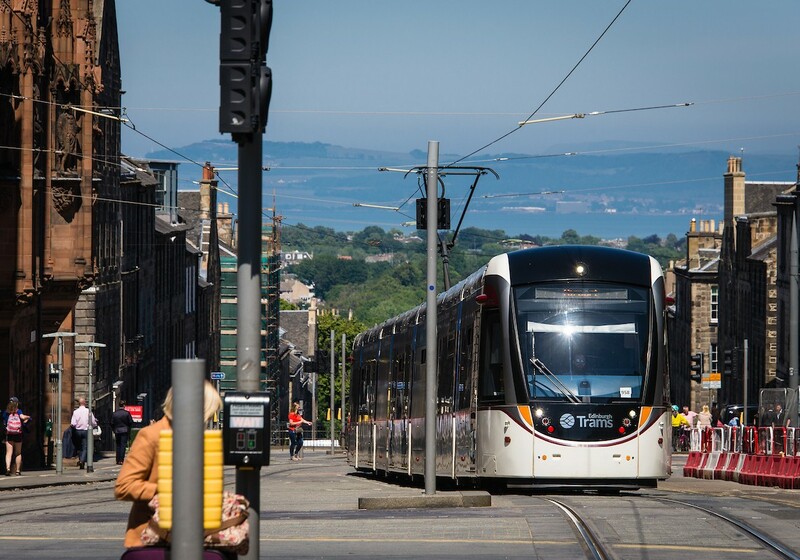 Follow the A7 into the city centre and once you have crossed Waverley Bridge go straight ahead past the St James Shopping Centre. You will come to a roundabout and continue straight across to A900/Leith Walk and Gayfield Square is the first left after the roundabout. Continue to the bottom of the road where the apartment is situated. As you enter Gayfield Square the building is in the far right corner. Our ‘Gayfield Square Apartment’ is on the top floor, and as you are walking towards the apartment the door of the building will be on your left hand side. 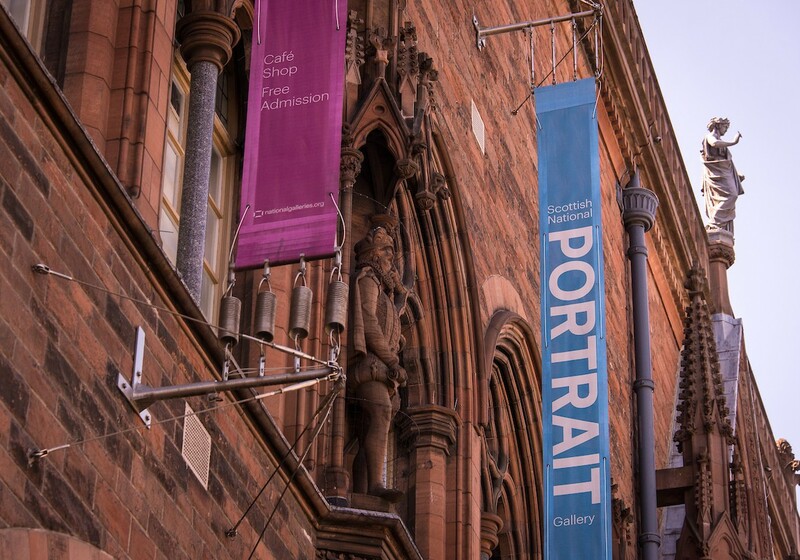 If you are bringing a car, there are metered parking spaces within Gayfield Square and on the surrounding streets. Metred parking bays on Gayfield Square. Free between 6.30 p.m and 8.30 a.m and free on a Sunday. The apartment is extremely well placed for exploring the city without a car. 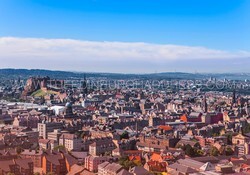 The city centre is a 10 minute walk. staff were5 star in the whole booking process. The flat was by far the best we have stayed in. 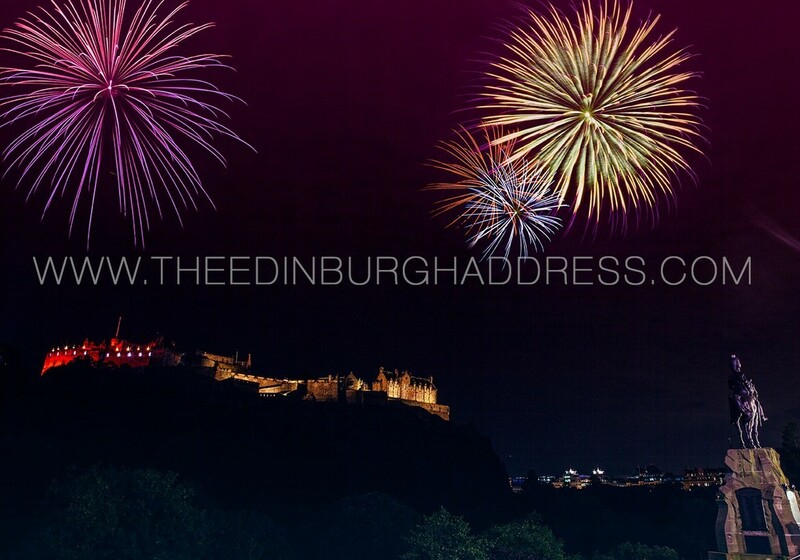 This is our fourth time using the Edinburgh Address for our annual trips to the city. And our fourth time staying in the same apartment. As ever we experienced excellent service. Great communication at all stages, making the booking process easy. They were very flexible allowing us into the apartment early on our arrival day. 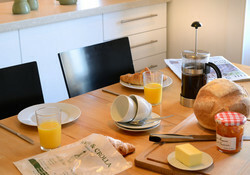 The apartment is of high quality, beautifully decorated and very well equipped. Location is great, walking distance from the main station and the main shopping areas. I would definitely recommend the Edinburgh Address. We are already looking forward to our next annual trip to Edinburgh and will no doubt book to stay at the same apartment. High quality accommodation. Stylish with a feeling of luxury. We chose this accommodation because it has two bathrooms and two equally good size bedrooms. Makes it great for two friends sharing. Thank you so much for staying with us for all these years and for leaving us this lovely review. You have been a great guess and we are looking forward to having you both stay with us again soon. 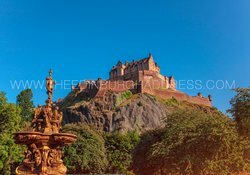 I have been booking through the Edinburgh address for years now and each time I have stayed in a different property and I can say they have some amazing properties to offer . They offer great advice over the phone if you need on your decision where to stay . 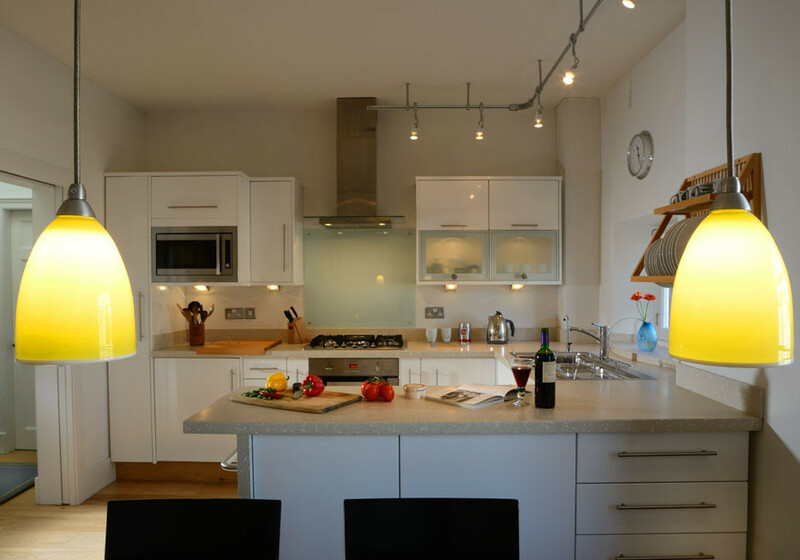 This year we stayed at the gorgeous apartment "the stylish city break at Gayfield square "which is in a great location with some lovely restaurants close by .The apartment has everything you could need and is spotleslly clean ,loved the decor. Dear guest thank you so much for taking the team to write this lovely 5 star review. We are happy you stayed with us again and it is a fantastic reward to read your feedback. We are looking forward to having you stay with us again soon. 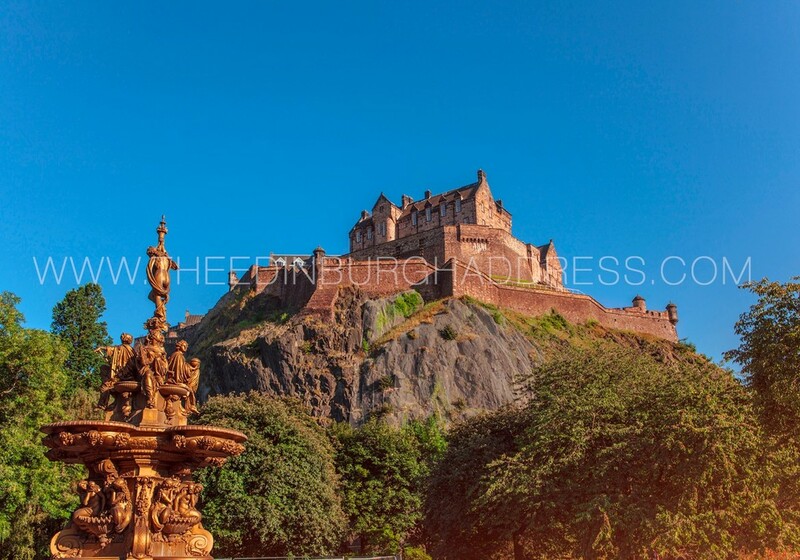 Let us know when you are planning to visit Edinburgh and we will add a discount code to thank you for being great guests. Prompt answers to my enquiries and help getting the booking set. I phoned a few times, as the payment process was not working. It was all sorted out nicely. We were met by Tony at the apartment, and appreciated the personal attention and detailed instructions. The apartment is really ideal for 2 couples, with plenty of privacy for all. It's a great location. Very quiet area, but restaurants and shops are one block away. Large windows give lots of light and views. 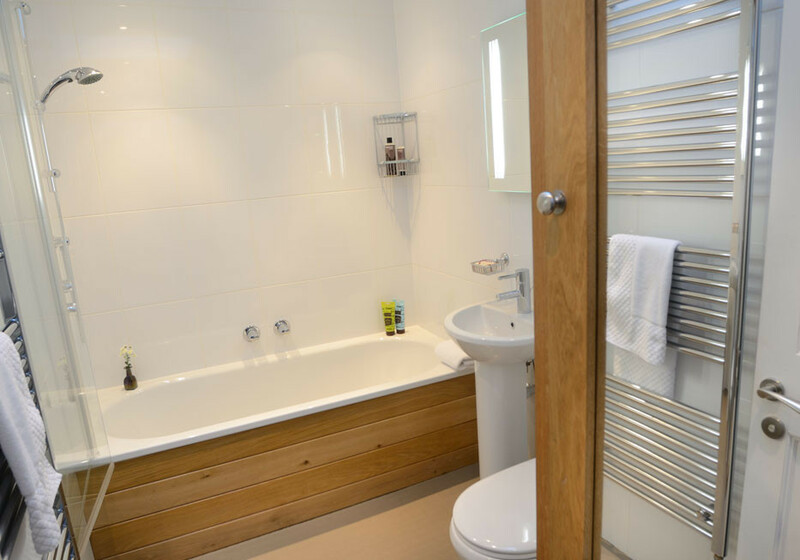 Both bedrooms are well-appointed, as are the bathrooms. The kitchen is huge, and the dining table has lots of room for at least 6 people. My favorite room was the living room. It's large, but cozy, with some lovely architectural features. We were only there for 2 nights, but a longer stay would have been better, as we were so comfortable. Perhaps it was an oversight, but there were no amenities in the bathroom (soap, shampoo etc) We've come to expect those in our accommodations, and therefore had not brought any along. On the last morning, our hot water heater was not working. Otherwise, it was a great stay. Dear guest,Thank you so much for this lovely 5 star review. What a wonderful way to describe our apartment, it is a fantastic reward for all of us to read this feedback. 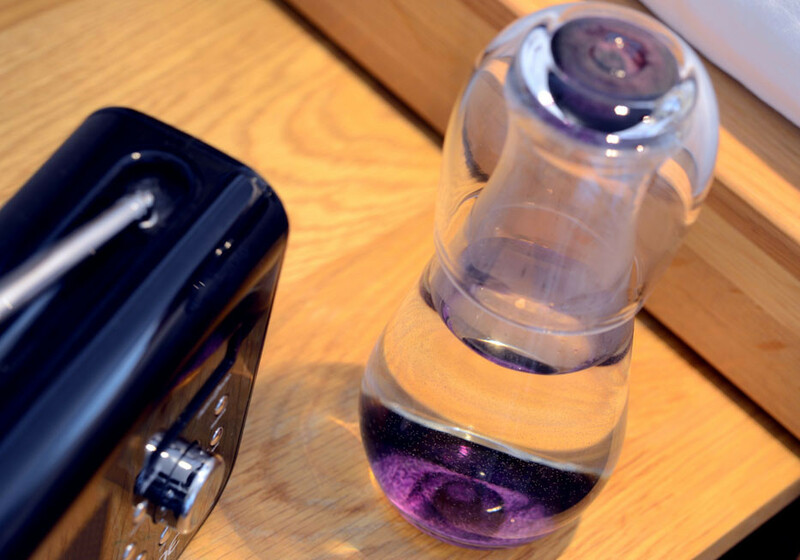 We really appreciate the valuable feedback regarding toiletries and hot water and we are working on it. You have all been great guests and we hope to having you stay with us again soon. I telephoned the Edinburgh Address about availability of properties and spoke to Siobhan who couldn’t have been more helpful. She asked what sort of thing I was looking for, checked prices and availability, and recommended The Stylish City Break @ Gayfield Square as being perfectly suited - and she was right! Customer service couldn’t have been more perfect. Likewise the apartment: we were met by Tony who was friendly, helpful and very welcoming. The apartment was amazing as far as we were concerned: beautifully appointed, warm, comfortable, full of books and music, amazing views out of the windows, and an absolutely perfect location. I cannot fault anything at all. We loved everything: comfortable bed, beautiful bathroom and separate shower room, huge kitchen/diner and enormous sitting room with floor to ceiling windows. The whole area surrounding the apartment block was steeped in history and full of lovely cafes, restaurants etc. A two minute walk away you could catch a bus to anywhere in Edinburgh and the buses were comfortable and very frequent. Although some days it was difficult to leave the apartment we were so happy there, we managed to see a lot of Edinburgh! The apartment was clean, light, huge and impeccably furnished. We only hope it will be available next year! We would like to express our gratitude for staying with us again and for this lovely 5 star review. It is a great reward to all of us and both the owner and ourselves hope to having you staying with us again soon. 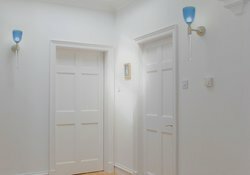 Let us know when you want to come back to Edinburgh and we will try to reserve this apartment for you. Excellente location. Interlocuteurs réactifs. Service parfait. Situation idéale pour visiter la ville. Appartement très calme, charmant. Équipements complets. A refaire sans hésitation. We are extremely glad that you all would stay with us again and loved the apartment. We agree with you, the location is ideal to visit the city and is very quiet. We are looking forward to having you stay with us again soon. Very helpful staff . Super apartment in perfect location for our first trip to Edinburgh. Karen was super, guiding us by phone in pouring rain and very understanding as our plane was delayed. Gorgeous apartment. Clean and well equipped. Very central and close to end of tramline from airport. Quiet square with many restaurants nearby. Thank you so much for this lovely 5 start review. It makes us really happy that you are satisfied with our booking service and Karen, the property manager. 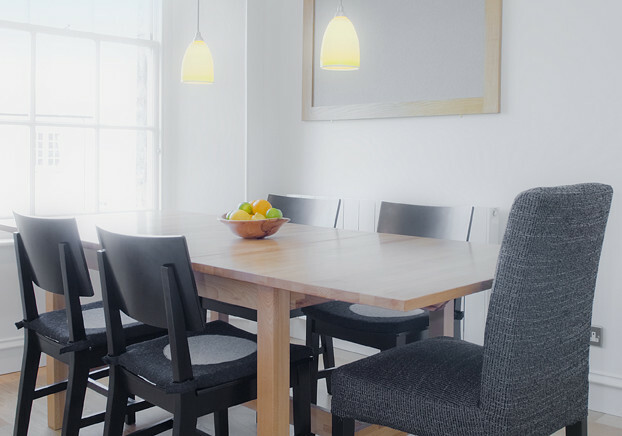 We agree with you, the apartment is gorgeous, and very quite for a city centre home. 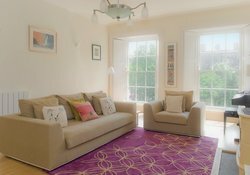 If you are planning on visiting Edinburgh again, let us know and we will reserve this home for you and apply a Repeat Guest discount on your next booking. The booking process was pretty straight forward but the process of having to prove who I was was a little extreme and in these days of concerns about who you share certain data with, slightly concerning. It was also slightly confusing as to who had to be contacted about what. I made a mistake in filling in the booking details and it wasn't clear how to find out how to fix them! The flat was fantastic. Extremely conveniently located, very close to the station...we arrived by train...but still extremely quiet. 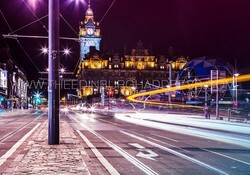 Right in the centre of Edinburgh but no traffic noise or noise from any surrounding flats. People had warned us about the major building works going on nearby however these had absolutely no impact on us at all. The flat itself was incredibly well appointed. We like to cook and the large kitchen diner was perfect for that. We had everything we needed. Unlike other places we've been to where the whole place seems to get stripped between guests, some handy things like olive oil and slat and pepper had been left in the cupboards. There are some great shops right on the doorstep including a good fishmonger and a butcher with Scottish specialties and a large supermarket within walking distance. Beds were comfortable and the showers were really good. Wifi stood up well to a multiple device beating (we had two teenagers with us!) The only slight quibble might be that an extra comfy armchair would be nice in the living room, the pink chair is nice to look at but not as comfy as the other chairs. The Edinburgh weather wasn't particularly kind to us for our week's stay but it really didn't matter...there is so much to see and do in Edinburgh we only did a tiny part of it. Thank you for taking the time to write us a positive review. We are happy to know that you enjoyed your stay and loved the local area. 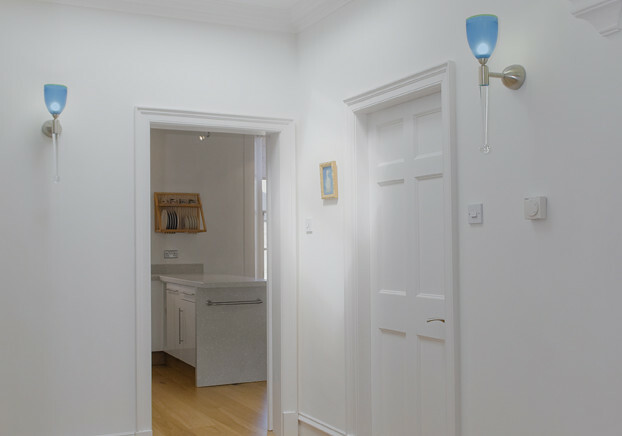 We love this home, with beautiful designed interiors. We understand that our Guest Vetting System might seem quite thorough, but we really care about our guests experience and making sure that the property is the right fit for them. 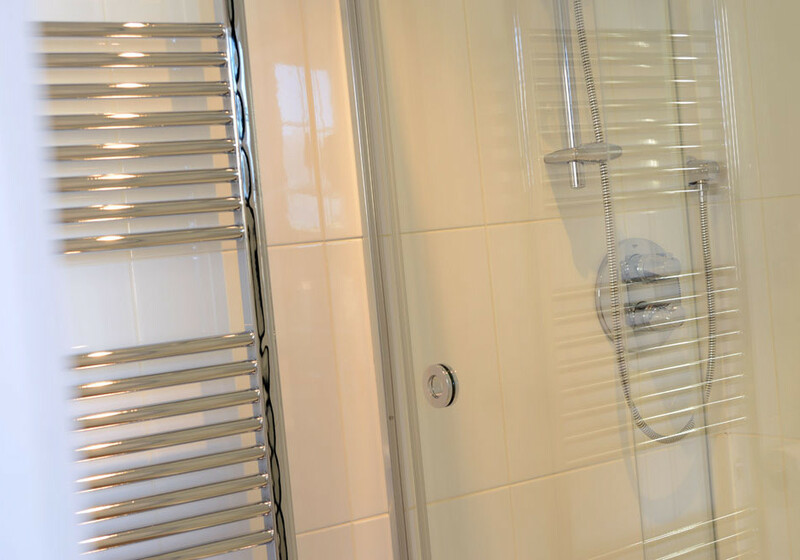 Our system is used to look after our owners' homes and care for their neighbours. The information is securely stored and then deleted. Sorry to hear that there was some confusion on who to contact, we are constantly looking at ways to provide information to guests in a clear and simple manner. Thank you so much for your valuable feedback and for choosing us. We hope to have you staying with us again soon. 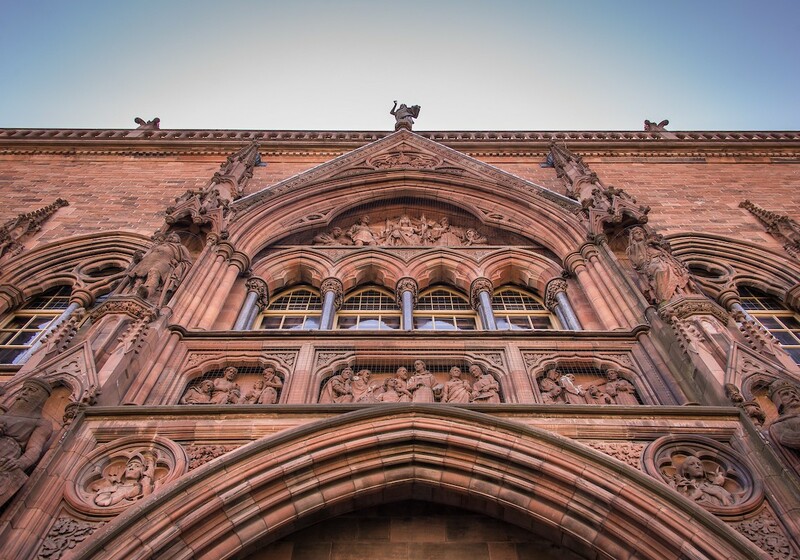 Edinburgh Address provide a portfolio of beautiful places to stay; the value lies in their curation more than any particular service they provide to visitors. We could have used more information prior to our arrival about local amenities like grocery shops, food delivery, playgrounds. The flat was fantastic. Lots of light in every room, skylights in the main hall and bathroom, massive windows in the other rooms all with attractive views. Each room was spacious, with generous proportions and high ceilings. Beds were comfortable, the heating worked well, the gas fire in the reception room added additional warmth and attractive firelight on cold nights. 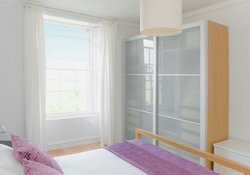 The storage in the master bedroom was more than adequate for us -- as a family with a three year-old, we don't travel light! Tons of books, could maybe have used a few puzzles or games for adults who want to spend wet evenings in. 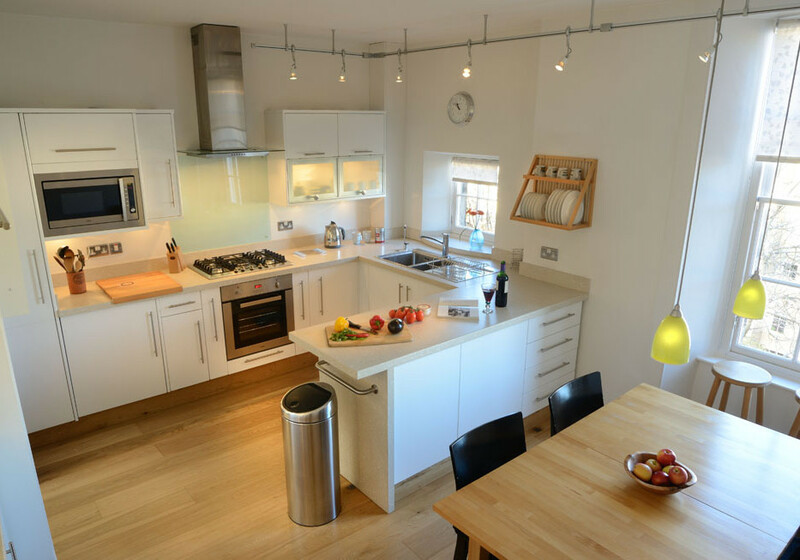 Here are the gripes: for a self-catered property the kitchen could have been better stocked with basics like mixing bowls, serving bowls, larger pots and pans, oven gloves, tea towels, salt/pepper grinders. Clearly we like to cook, which is why we rented a flat in the first place instead of staying in a hotel. The kitchen was well-designed and had plenty of storage and counter space. A small step-stool would also be welcome, as I'm 5'2 and had a hard time reaching the upper shelves. Warning to others: the floor boards are NOISY. For most people this won't matter much. For us we found it a source of stress because we spent all of our evenings in and were constantly worried about disturbing the downstairs neighbours as our three year-old ran around the flat. The location on Gayfield Square was pretty much perfect. We overlooked the gardens of other properties facing the square, it was quiet yet took less than 10 minutes to walk to Waverley. We very much value your feedback and we are grateful that you took the time to write it. We will take steps to make the improvements you have suggested in the information we provide to guests before arrival. About the property, the owner has started the process to address the floor boards, making other improvements within the flat. Your helpful feedback will inform any future improvements that will be made by the owner. We hope you will choose to stay with us again soon. 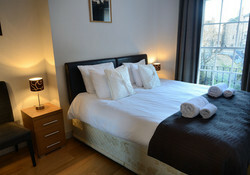 "We had a fantastic stay in this flat! It is in a very convenient area but off the main street so it is very quiet. 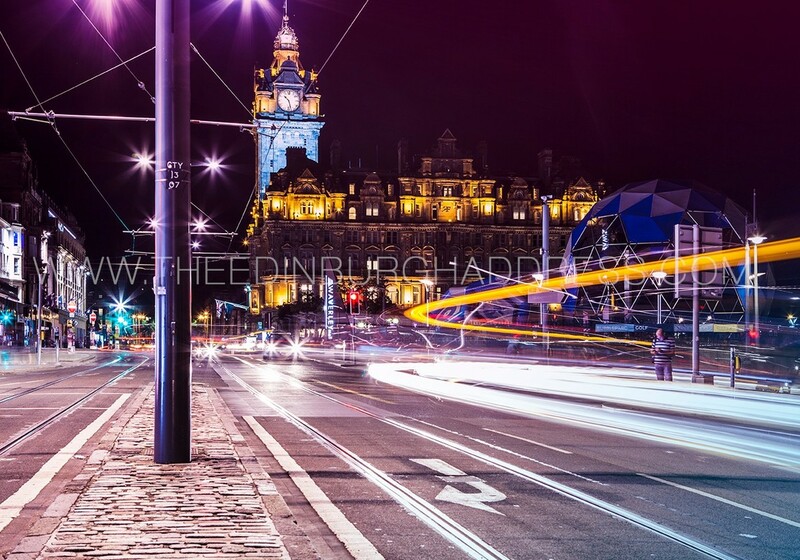 A £5 cab ride or a nice walk away from Waverley Bridge! Great restaurants in the area- highly recommend the French cafe and the Turkish restaurant around the corner! The flat is very comfortable and modern. We visited with our newborn and his grandparents- it was enough space for all of us. Each room and bathroom are far enough away from each other and the living room that you cannot hear the other rooms conversations. The beds are very comfortable (Grandpa said the most comfortable bed he's ever slept in!). The kitchen is very well stocked and although we didn't make a meal in it- it had everything we would have needed. The laundry unit came in handy! Very responsive owner/management company- that worked with us with our arrival and departure times. Would definitely stay there again if we return to Edinburgh!" We had a short stay but it was absolutely lovely, not one thing i could fault about the apartment or the hospitality. The photos do not do the place justice i must say. 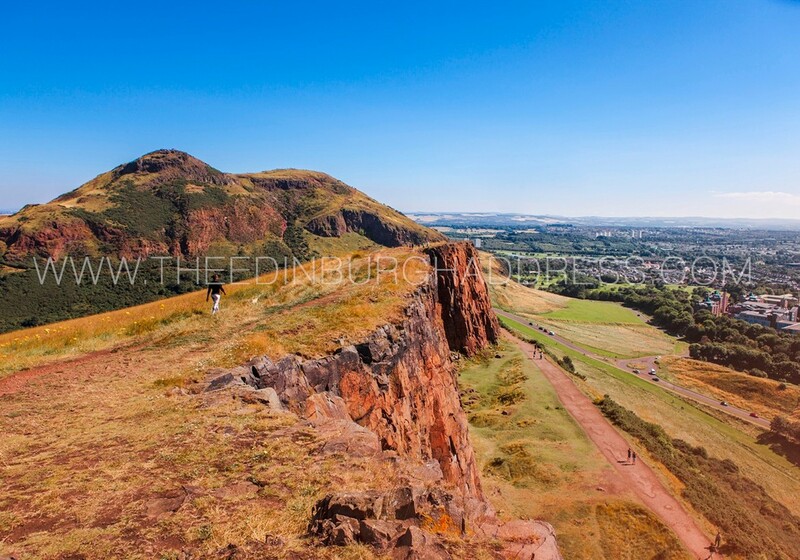 Would highly recommend staying here if looking for a place in Edinburgh. " "We keep returning as the quality of the accommodation is excellent as is the the ease of booking. My only observation would be to have the option to pay the costs of the stay in one payment instead of having to pay an initial deposit and then the outstanding amount as this results in two charges for credit card/debit card costs. " "The apartment fully lived up to the description and pictures. Totally lovely place. Well equiped, Nice and clean. Everything was modern, and it was larger than what we expected. Perfect for friends travelling together or for families. "" ""We liked everything about the apartment. "" ""The heating system was a bit difficult to figure out. It got freezing cold during night, as the heater turned off automatically. A better instruction upon arrival would be fine." Well done Callum and Eddie to give such a good personal touch. Good to talk to Alice and her brother to reassure me my money had transfer had gone through. Next time it's a ground floor apartment for me ! This is the second time we have stayed with you and we would definitely stay again! The process of booking, arrival, departure etc very smooth. We hope to stay with you again. "Can not fault anything at all. The flat exceeded our expectations. 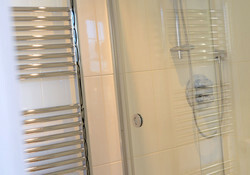 Fresh and clean, with everything we could wish for and more"
5 star accommodation. Gave guests a great impression of Scotland. Can't thank you enough for making their stay comfortable and enjoyable. Friendly and professional. Gave impression of organised and well run company'! We stayed here in February and really enjoyed the whole Edinburgh experience which included this great apartment. Location is perfect for the short walk into the town centre and with loads of restaurants round the corner you are spoilt for choice. 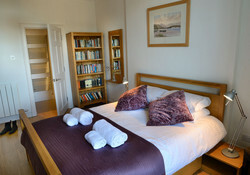 With free parking at the weekend its a great place to stay. lots of steps to get to the top floor but will keep you fit. Thanks will use again next time we visit. We had a great stay in Gayfield, it is a really lovely apartment in a great location! "I stayed here with my two teenagers during the Edinburgh Festival, and the apartment proved to be the perfect base from which to take in all aspects of the city. 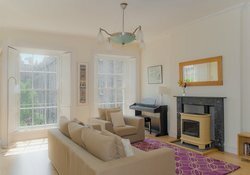 The views from the full height windows in the living room were particularly charming, looking out over a typically Edinburgh roofline. Everywhere was within easy walking distance from the flat, and there are a wide range of places to eat nearby. 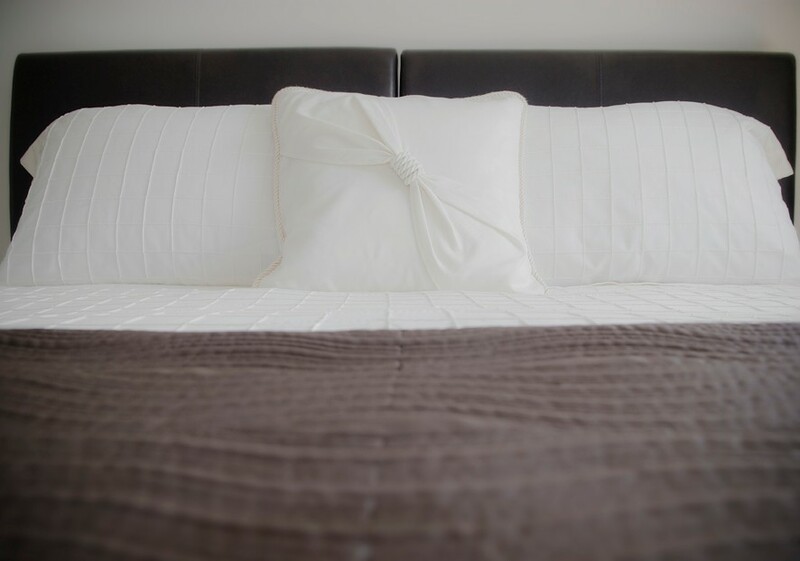 The decor is stylish and comfortable, and the lovely people at the Edinburgh address provided everything we needed to ensure we quickly felt at home. A wonderful stay! Thank you!" "Wow what a fantastic pad. Top class and immaculate would recommend a stay here. 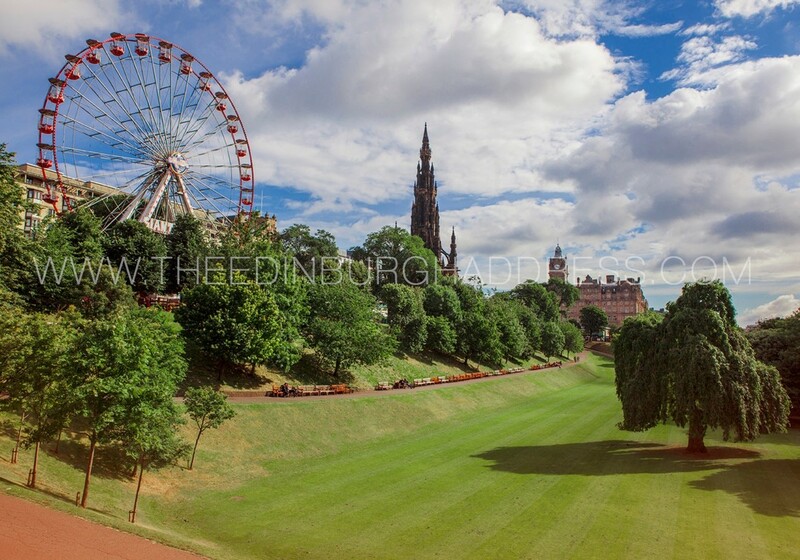 A 10 minute walk to Waverley station and near to bars and shops." The flat was clean, well equipped, bright and airy, conveniently located....just perfect. Overall the accommodation was excellent and very good value. It's difficult to see how the apartment could be improved. Stylishly, but practically appointed with all you would need for a short or even extended stay. It was also a nice touch to feel you were "at home" with the personal items like books, DVDs and CDs in the apartment. Everything you needed was there - including everything to accommodate friends to cook dinner at the apartment in the evening. The apartment was clean. It was an apartment with good light. The towels, bedding etc was very nice and having laundry powder and dishwasher tablets meant it was a real home from home. 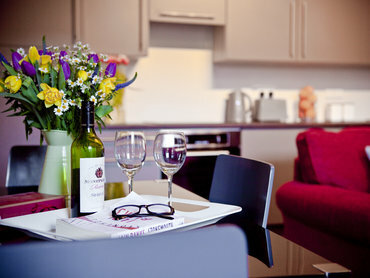 Local amenities are first rate - and access to the city centre and beyond is a easy either on foot or by bus. The booking process was simple and the follow up communication by email was first rate. Telephone communication with Kirsty at the office was excellent too. Siobhan, who met us at the apartment was very pleasant and helpful and a great advert for the company. Gayfield Square apartment is very good value for money, it was just perfect for our family. 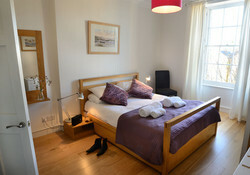 We were very pleased with the accommodation and the service provided by The Edinburgh Address. Fantastic apartment. Warm, comfortable, stylish and very well equipped. Convenient for restaurants, theater and shops. The apartment was well located and very clean with all the necessary amenities. The area was safe and close to restaurants, pubs and the movies. It was our favorite place that we stayed during our European vacation. Location is really good, and the apartment is very quiet though it's very near busy streets! CD- and DVD-collection were impressive (we were all professional musicians...), it's a pity we didn't have any time to watch conducting videos... Everybody was very happy with the apartment, hopefully we'll have a chance to visit again. 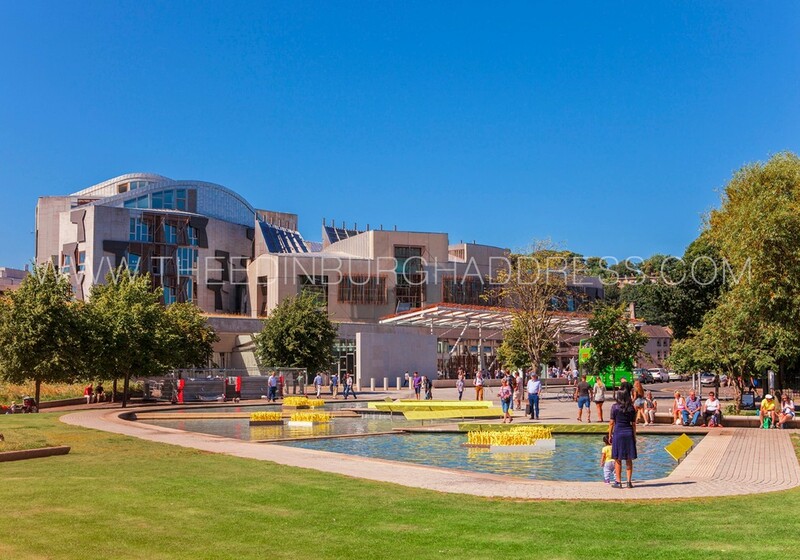 The service [from The Edinburgh Address] was very friendly and professional. The accommodation was excellent and everything was finsihed to a very high standard. 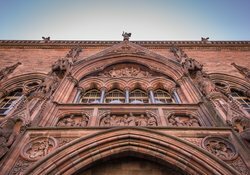 [The service from The Edinburgh address was] excellent - great communication and friendly staff. It was perfect for us and we had a great week end. Very well appointed flat and the "piano" was a wonderful extra! My son sat and played away while we all rested on Saturday afternoon! We heard about you via friends [also previous guests] and will keep spreading the word to friends over here. I just wanted to say thank you. We had a great weekend, and the apartment was absolutely fantastic. We look forward to booking with you again soon. The photos of this apartment do not do the apartment justice. It is simply amazing. It's beautifully decorated to a very high standard with a good mix of period and modern features. 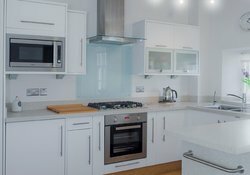 I was a bit worried that the apartment was in an older building but it is warm and spacious and has a fantastic family kitchen. 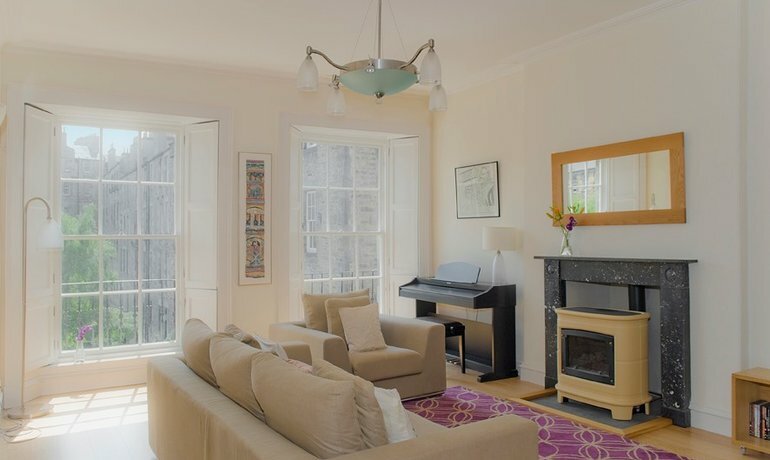 The best feature has to be the lovely comfy living room with the added bonus of a piano. As for location, it was perfect for the city centre. I would stay again in a heartbeat. 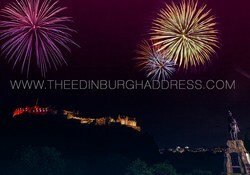 I wasn't sure what to expect, but the service from The Edinburgh Address was helpful, easy and efficient. It made our lastminute accommodation booking a dream. "Very well done, like a boutique hotel & child friendly. 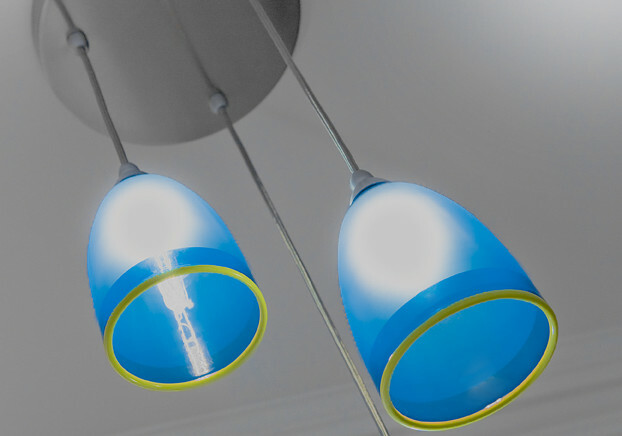 Very efficient & friendly service." "We have just arrived back in Aberdeen, after a most enjoyable weekend at your Gayfield Square Apartment. It is a perfect location for a city break in Edinburgh and the apartment itself was gorgeous and felt just like home. 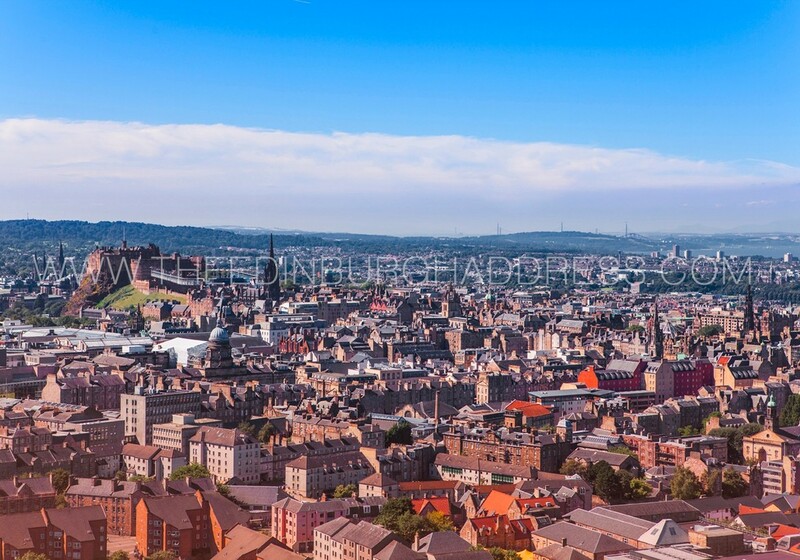 We thoroughly enjoyed our stay and will most certainly contact you again, when we are next down in Edinburgh, and will recommend to our friends." Very Good Value. 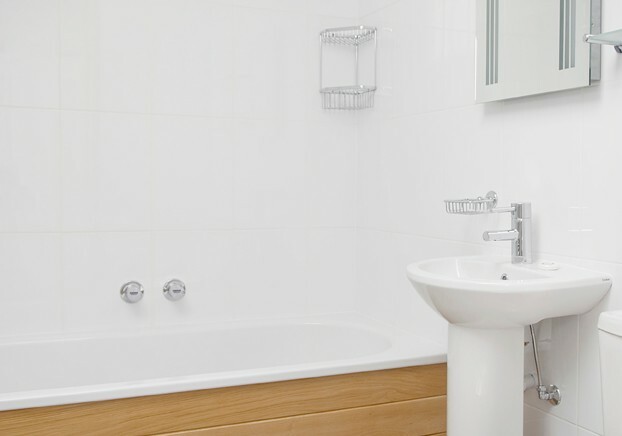 Pleasant, clean, light and airy. All mod cons. Good quiet location. Friendly efficient and easily contactable. A Seamless service. Sharing a flat with friends for the weekend is a much better way to catch up with them rather than staying in an hotel where you all go off to your separate rooms and you can have breakfast in your pyjamas!